Paris, often called the city of lights, is the world’s top destination for tourists, and it holds the title for good reason. The Eiffel Tower is the city’s most-visited attraction, but Paris is also home to such architectural and aesthetic wonders as the Arc de Triomphe, the Louvre Museum, and the Notre-Dame Cathedral. Though French is the country’s official language, Anglophones can often get by in tourist-friendly areas with only a few French phrases. 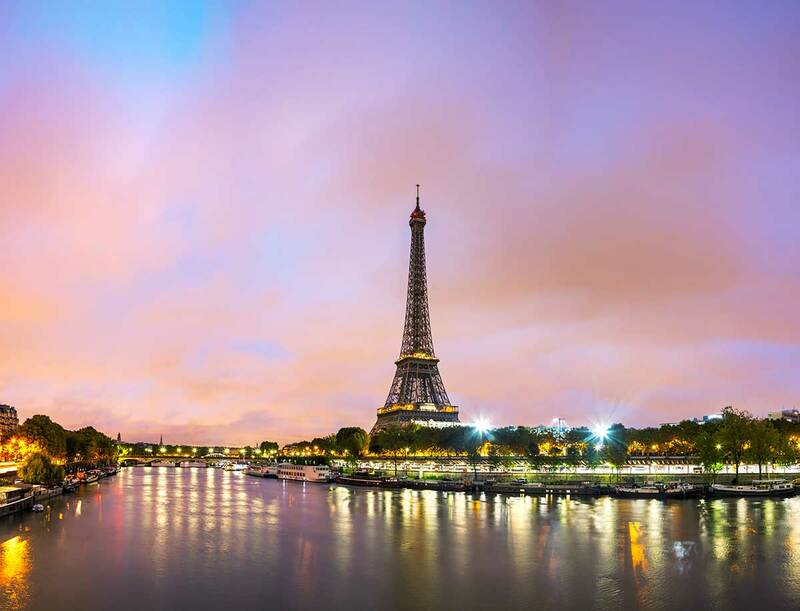 A city of art, romance, and culture, Paris is guaranteed to provide an unforgettable adventure. Call us to book your romantic Paris holiday. Designed by Canadians for Canadians, this special tour pays tribute to all who have served their country in the Great War and World War II. Take in the museums, memorials and special sites throughout France and Belgium that commemorate the contribution of Canadian soldiers during these two wars, including: the impressive and inspiring Canadian National Vimy Memorial at Vimy Ridge, the Canadian Cemeteries in Bény-sur-Mer and Dieppe, as well as the Newfoundland Memorial Park at Beaumont Hamel. Other destinations visited include the Landing Beaches of Normandy, the Juno Beach Memorial Centre & Park, Amiens and Ypres in Belgium.